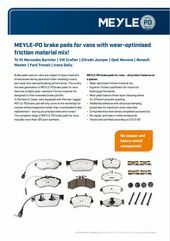 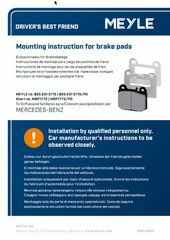 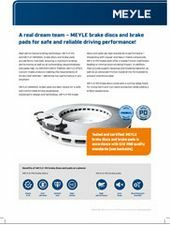 A real dream team – MEYLE brake discs and brake pads for safe and reliable driving performance! 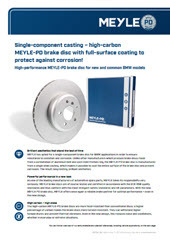 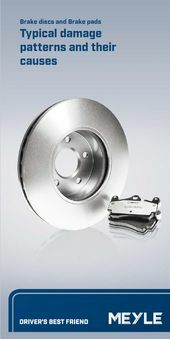 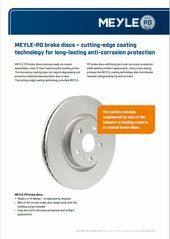 Single-component casting – high-carbon MEYLE-PD brake disc with full-surface coating to protect against corrosion! 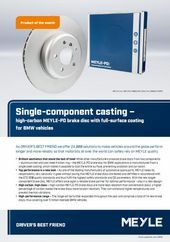 To fit Mercedes Sprinter, VW Crafter, Citroën Jumper, Opel Movano, RenaultMaster, Ford Transit, Iveco Daily. 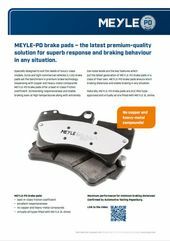 The latest premium-quality solution for superb response and braking behaviour in any situation.